Grand Entrance is a rewarding finishing touch for instant impact. Rich colour choices won’t fade over time despite life in the sun, and the smooth, self-levelling finish rivals any spray from an autobody shop. Extra attention to detail will give you the results you’re looking for, so here are a few tips for a bright welcome home, every day. Ideally, it would be easiest to paint the door off the hinges and laid flat. Ideal is not always possible, however, so painting a hanging door is perfectly acceptable. Sand the door with 220 grit sandpaper, a medium-fine sanding sponge or synthetic steel wool. If your door has been previously painted, be sure to level out any peeling paint layers or high gloss areas which will interfere with adhesion of the new paint. Remove dust, dirt, grease, and mildew with TSP, then rinse clean with water. Paint the recessed or panelled areas of the door first. 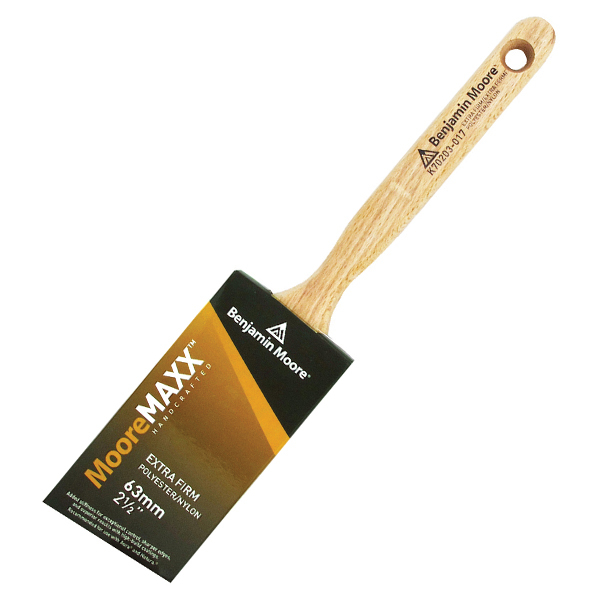 A polynylon angular brush like MooreMaxx is recommended. 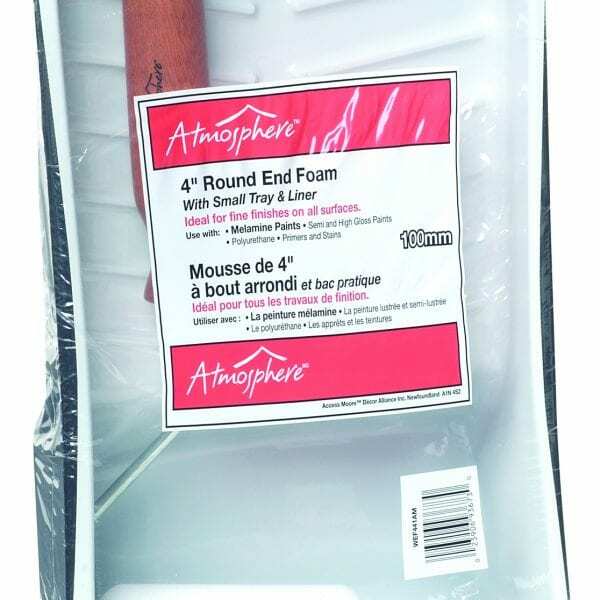 You can continue with a brush, or roll the rest of the flat surface with a low-pile (5mm-10mm) roller. Be careful when loading your brush – you’ll want it thick, but not dripping. Don’t overwork the paint. Working top to bottom, apply generously from an unpainted area into a wet area. After your first coat, allow 16 hours before your second. Use a fan to create good air circulation. Don’t point the fan to the door directly. Just ensure air is moving freely throughout to advance the drying process. Coat #1 will be dry to the touch after 6-8 hours, so if you’ve been all day with your front door wide open and need to go to bed, enlist some FrogTapeTM to help out. 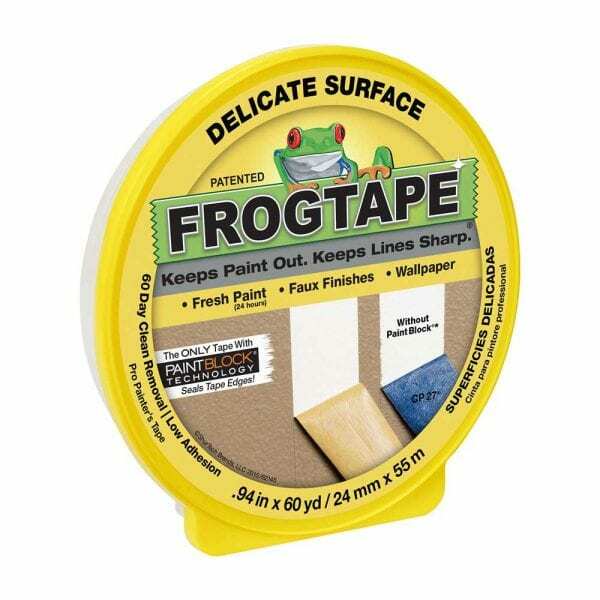 Line the door frame top to bottom with a strip of FrogTapeTM where your door will close, sticky side on the door frame. 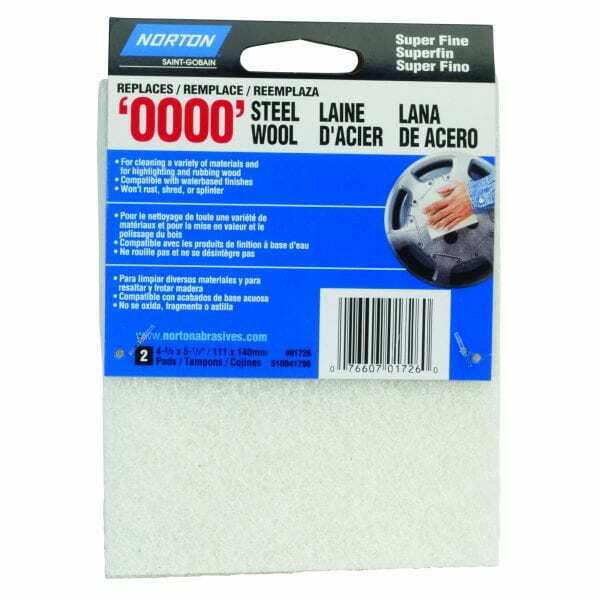 This will protect your new coat from damage, and get the door closed until you’re ready for its next coat. Lightly sand any imperfections from your first coat with a fine sandpaper. 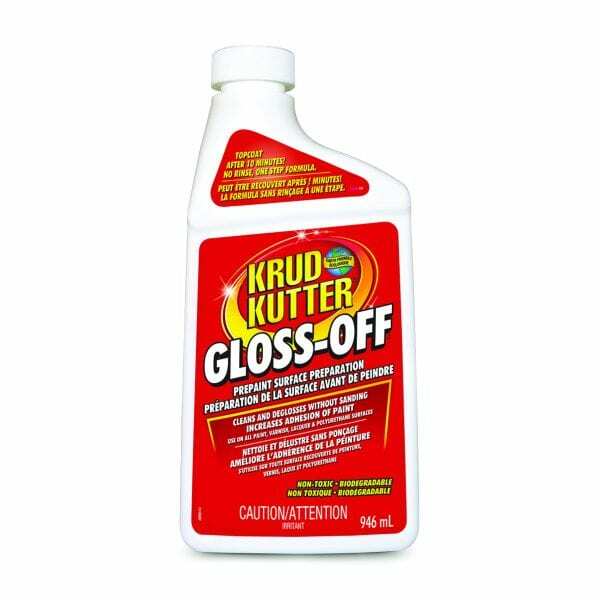 A quick wash with Krud Kutter rinse-free Gloss-Off will dull any gloss and ensure the first coat adheres nicely to the second. Knock knock. Who’s there? A gorgeous new door, that’s who. Humidity and Grand Entrance do not mix. Avoid painting in humid conditions. While it doesn’t feel like we live in a humid place, humidity is essentially moisture in the air – and we have plenty of that! So keep an eye on the forecast. A lot can change in the 8 hours required for drying, so you’ll want a low-humid stretch of weather to tackle this project. Calvin has been with The Paint Shop since the doors first opened in 1978. His extensive paint knowledge makes him the go-to guy for any project. Visit Calvin at Topsail Road, St. John's.